Ashan Garusinghe an employee at Shell Canada will be traveling to South Africa this month. He has been selected to go to a Project Better World expedition on August 17, 2018. Project Better World is a global Shell sponsored Network that has a partnership with Earthwatch. Earthwatch is a non-profit organization that is joined up with citizen scientist to gather large amounts of data for their important research. The projects are based across the globe and cover a variety of sustainability and climate change topics. Shell employees from around the world, are sponsored by PBW and their Managers to go on these expeditions. Each year through a competitive application process about 100 employees are selected to go. 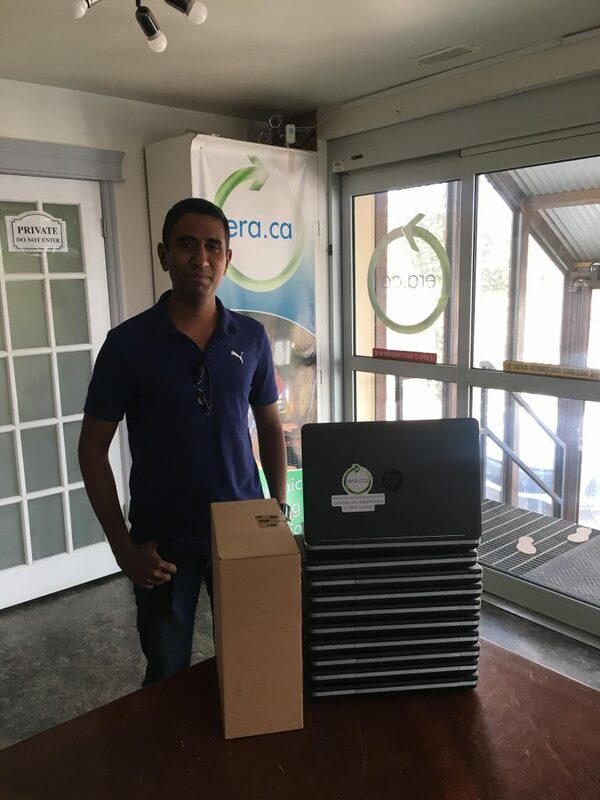 He contacted ERA to receive 10 laptops to bring over with him for future Earthwatch volunteers and research staff in South Africa.